It is once again time for one more set of logo designs for creative logo designers out there to get inspired with. 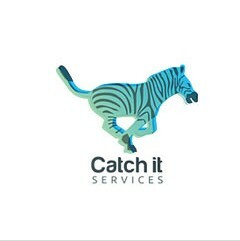 Today, we have gathered some logo designs from around the web inspired by an animal best known for their contrasting black and white stripe patterned coat – the zebra logo. A zebra is an image popularly used in logos of companies in the fashion world as their striped markings indicate sophistication and being stylish. Zebra black and white prints are attractive mostly to fashionable women that is why a lot of companies targeting young and funky individuals incorporate an image of a zebra or distinctive zebra print in their logo designs. By having a zebra logo, you can show to the world that your company loves our mother nature.